Go to original pattern for design DROPS 86-15. 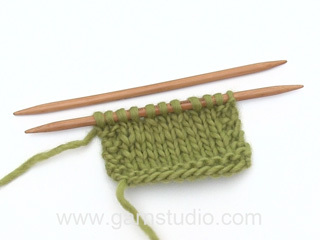 DROPS 8 mm needles, or size needed to obtain correct tension. Before felting: 11 sts x 15 rows in stocking st = 10 x 10 cm. After felting: approx. 13.5 sts x 28 rows = 10 x 10 cm. 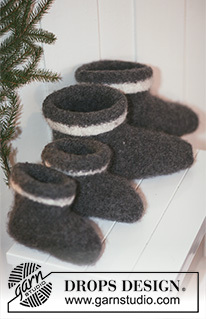 Slippers: The slipper is knit in one piece, beginning at one side of ankle, down under foot, up to other side of ankle, with a seam down the top of foot and at center back. 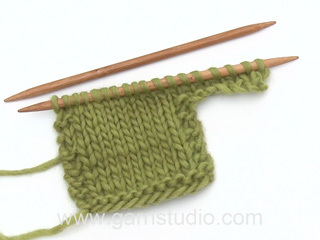 Loosely cast on 21-22-23 sts and knit stocking st. When the piece measures 20-20-22 cm cast on sts for foot at one side every other row: 2 sts 5-6-7 times and 1 st 3-3-2 times = 34-37-39 sts. Continue on these sts until the piece measures 42-44-46 cm – place a marker, this is the center of the sole. Continue until the sole measures the same from the marker as from the end of incs up to marker on first side. Now dec (at the same edge as you previously increased) every other row: 1 st 3-3-2 times and 2 sts 5-6-7 times = 21-22-23 sts. 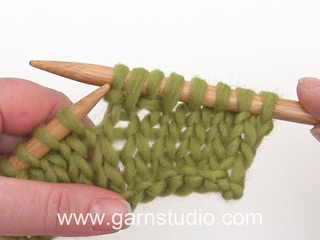 Bind off when piece measures 84-88-92 cm. Assembly: Fold in half with right side out and sew at center back. Sew up front of slipper, leaving approx. 9 cm at top open. Turn inside out (wrong side will be the outside). 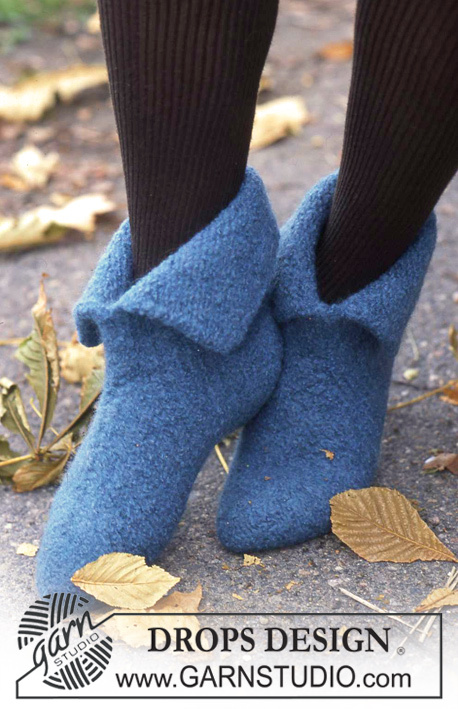 Knit a second slipper. 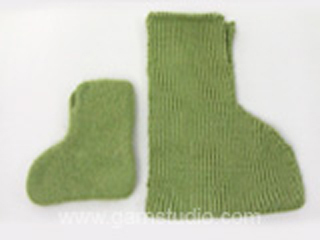 Felt slippers: Felt in washing machine on regular cycle with warm water and small amount of detergent. Check size while still wet. If the slippers are not small enough, run through a second cycle. If the slippers are too small, put them in water until they are thoroughly wet, and then stretch to right size. After felting fold the top 4 cm of ankle down.